Sue is a little girl who refuses to brush her hair. She loves her new friend Ned, a hair knot. But, the fun does not last for long as he was a naughty knot. Sue learns an important lesson about brushing her hair in this harebrained tale. 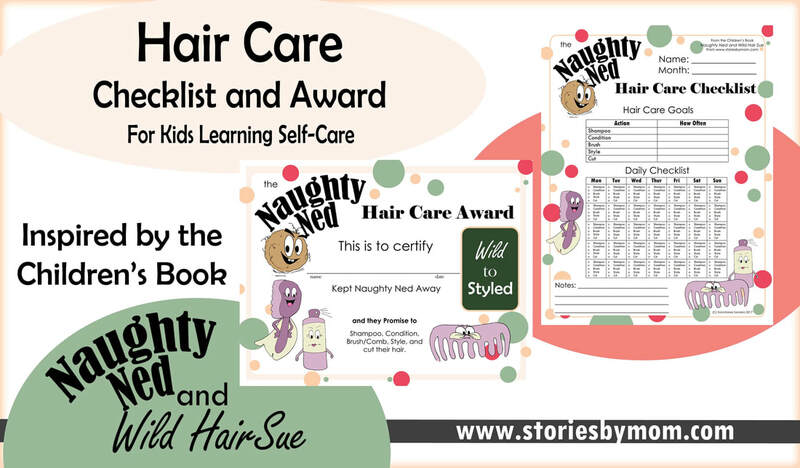 This book helps children with the idea of good grooming habits. 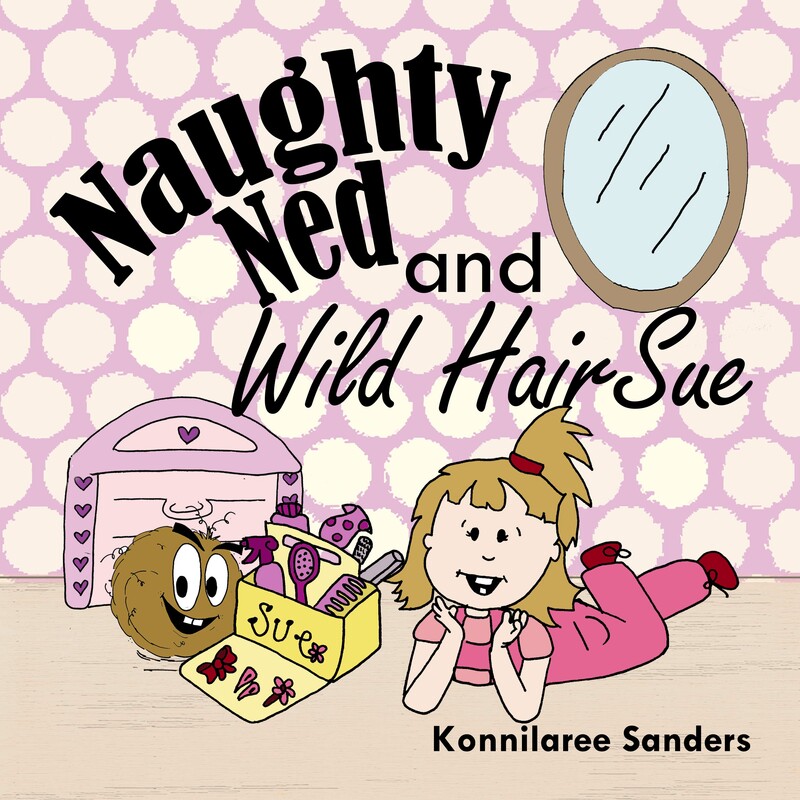 "Naughty Ned and Wild Hair Sue" is a silly story in a child’s make-believe world. We all know the importance of good grooming habits, but sometimes it takes a harebrained story to remind us. The story begins with a wild little Sue. She loves to play, and her hair loves to tangle. One day her favorite kite snags her hair. Her mom was able to pull it out, but Sue refused to let her mom brush it. She had enough hair tugging for one day. She tried to conceal her messy locks. Each day her hair tangled, and snarled, and kinked until a formidable hair knot formed. She named him Ned and he lived on her head. But, after a troublesome dream that Ned was alive, she knew he had to go. From that day forward, she would always brush her hair. 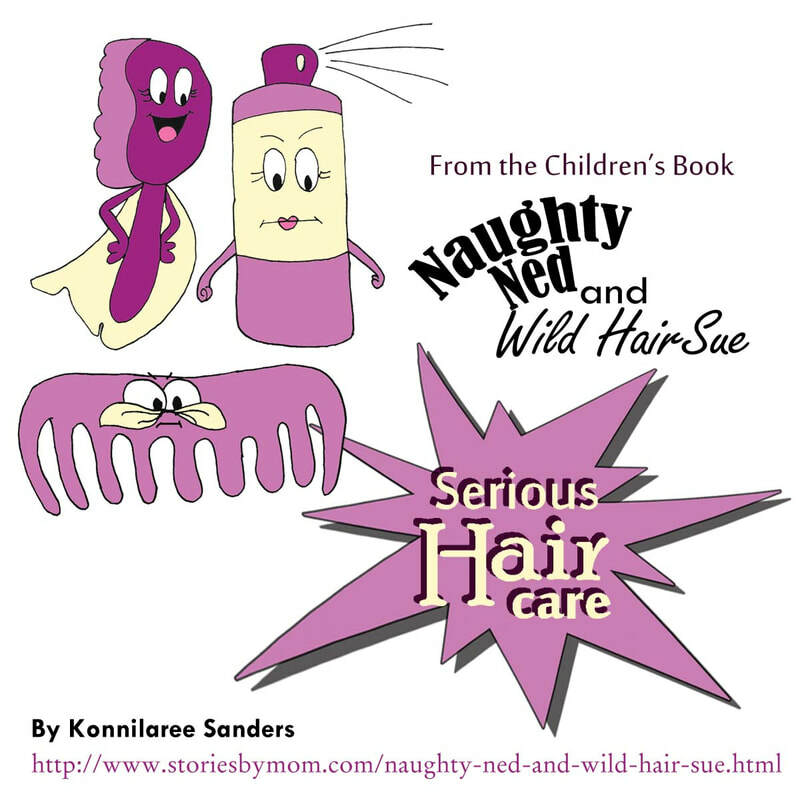 This book is fun for kids and a great way for parents to address the problem of little girls and their inevitable tangles. 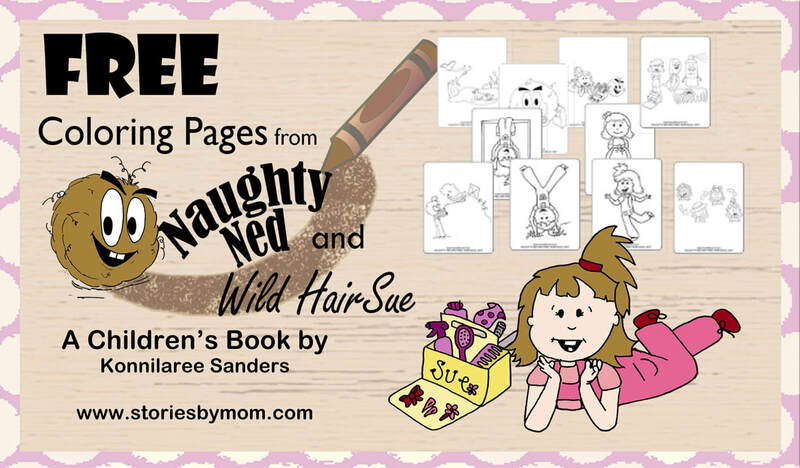 "Naughty Ned and Wild Hair Sue" was inspired by my two girls, Abigail and Eleanor. They have beautiful long hair. But, anyone with long hair knows, it is hard work to maintain. One day, I was brushing Abigail’s hair. She was none too pleased. In an effort to lighten the situation I commented that her hair knot was so stubborn that I think he lived there. She giggled, and I named him Ned. She grew so attached to it, the idea, not the knot fortunately, that we created adventures for Ned. I crafted the story line and shared it with my nieces and nephews. They loved him too! They began calling their hair knots Ned. That is when I knew I had to make this book number two. Despite it being Abigail’s hair knot, the character Sue is mainly inspired by Eleanor, her middle name is Sue and her hair is wild. She often sported the small side ponytail featured in this book. That was because we couldn’t catch her long enough to properly style her hair. Without a pony tail she would let her long bangs cover her face. She didn’t care that prevented her from seeing where she was going. She was too busy to notice. I am thankful that my girls have learned to keep Naughty Ned away.